Under Education Secretary Betsy DeVos, hundreds of civil rights complaints before her department are being dismissed, based on a new protocol that seeks to unclog the system, the New York Times reports. 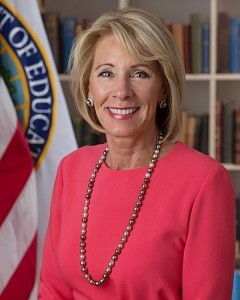 “The Education Department’s Office for Civil Rights has begun dismissing hundreds of civil rights complaints under a new protocol that allows investigators to disregard cases that are part of serial filings or that they consider burdensome to the office,” the New York Times reports. The department’s Office for Civil Rights responds that it wants to be more efficient and effective than it was under the Obama administration, “which was known for its aggressive enforcement and broad investigations but was also accused of being overzealous and leaving cases languishing for years,” the newspaper reports.